All services for today, Sunday, January 20th, have been cancelled due to the weather. Evening services have been cancelled due to the weather forecast. Please stay safe and warm. Join us for our Christmas Eve Candlelight Service on December 24th at 6:30pm. 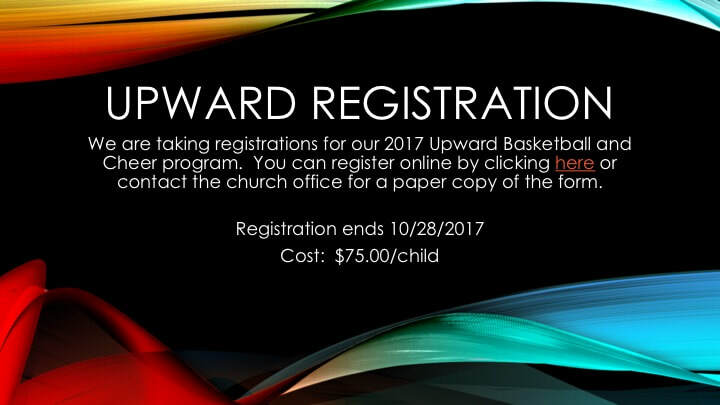 Registration for Upward Basketball and Cheerleading is almost over. 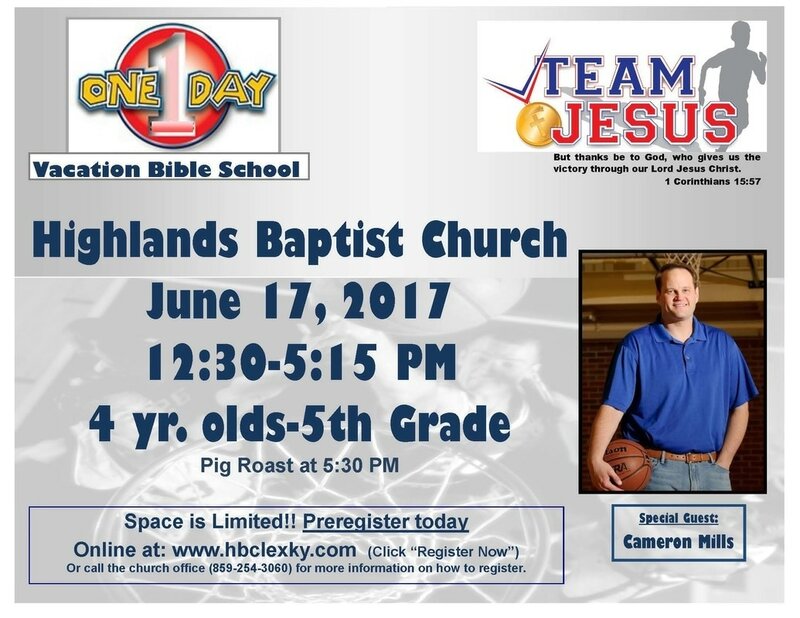 Please contact the church office at (859) 254-3060 to register or download the registration form by clicking here. 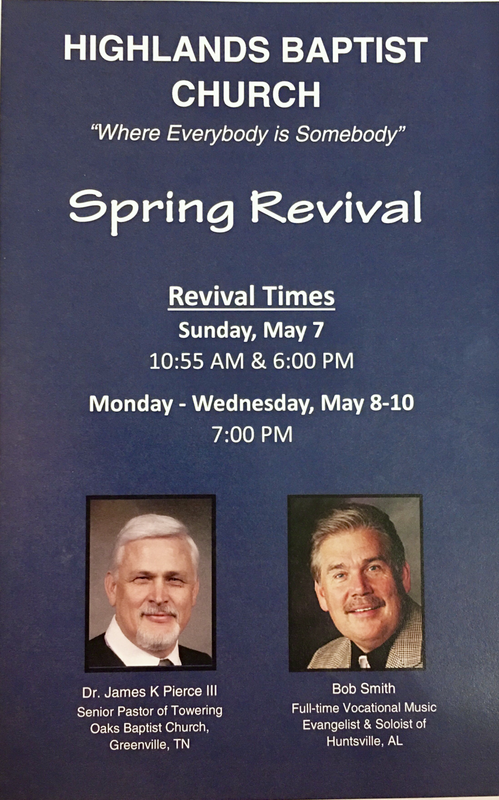 Join us for our 2016 Spring Revival, Sunday, May 1st through Wednesday, May 4th. ​Our preaching evangelist is Bro. Johnny Tucker from Citronelle, Alabama. He is married to Judy and they have three children and eight grandchildren. He is the found and president of the International Missions Association and has been preaching for many years. He was a pastor for twelve years before entering full-time evangelism and has preached in over 1,360 revivals, conferences and retreats. God has used and is using this servant in a might way. Our music evangelist is Bro. Bob Smith. Bob is from Huntsville, Alabama and is no stranger to our Highlands congregation, having led us numerous times in revivals. Not only does he lead the congregation in the singing of exciting music, but his rich baritone solos are a tremendous blessing.